As the main piece of the Auroray collection this accessory is destined to impress. 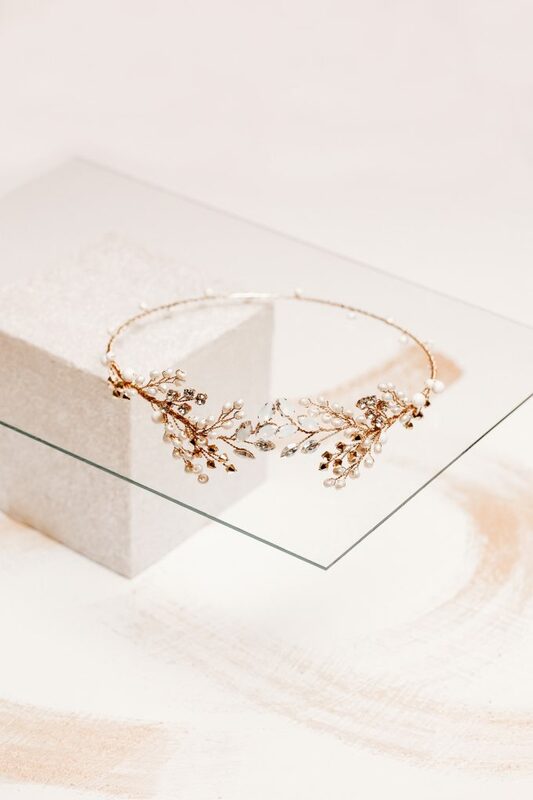 By it’s Greek goddess inspired appearance it can easily be worn with perfectly styled hair for a modern look or with loose romantic curls for a more bohemian vibe. It is handcrafted from Swarovski pearls and Swarovski crystals onto a hard headband. 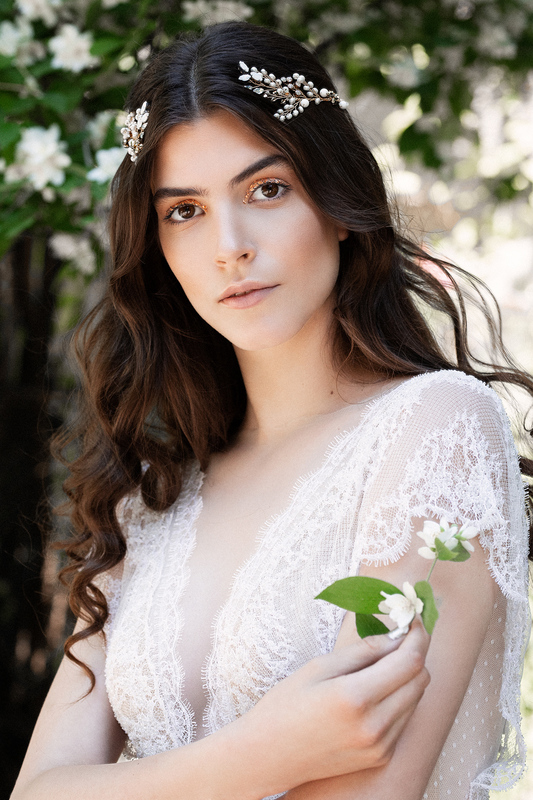 Hard in appearance but soft unto the head, the headpiece can be worn both with the details in front on the head framing the face or with them onto the back of the head framing your beautiful chignon.